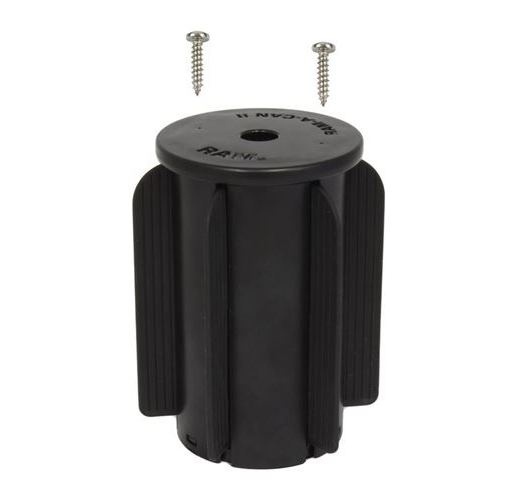 The RAP-299-3U RAM-A-CAN II Universal Drink Cup Base slides perfectly into your car cup holder and can be attached to 1" double socket ball mounts or 2 hole diamond base. The RAP-299-3U RAM-A-CAN™ II Universal Drink Cup Base from the RAM Mount Bases range is the premium mounting point for all double socket ball mounts, sized 1”. This product comes with flexible support fins, allowing most standard automobile cup holders to be compatitble with the cup holder base. You can also attach the included standard-sized AMPS diamond base to the base of your cup holder.